Do you have 10 minutes to spare for a LIFT LEAN workout? LET’S GO!!! All you need is a 10 minute focused HIIT! 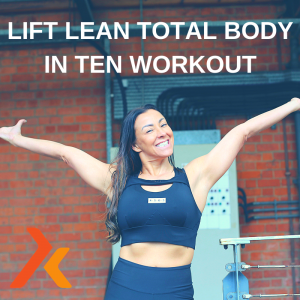 Lift Lean is a time efficient weight training workout, Created by Rachel Holmes, set to timed music (by Pure Energy) designed to fit into the busiest of schedules. “I designed and trialled the concept in 2017 and have had amazing results with my clients. Strength training using weights, barbells, kettlebells and mini bands plus a tweaked 5:2 nutritional protocol works amazingly well together. We have had some amazing results in the past year.” Says Kick Start Creator Rachel Holmes. 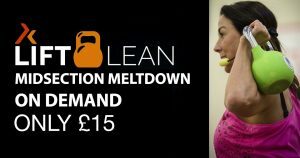 The 5:2 method is a tried and tested weightloss plan providing more flexibility to fit into busy lifestyles and social lives. “It’s a flexible way of eating without severe restriction. 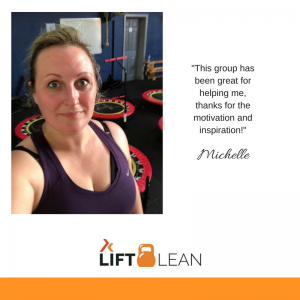 I teach Lift Leaners how to eat healthily in the week and allow for a little wriggle room at the weekend.” Explains Rachel. 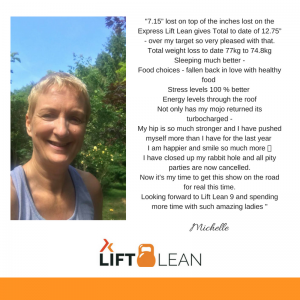 “For most people, it is at the weekend when fall down with their nutrition, but we teach our clients how to balance out their food and to make daily habits changes that are sustainable for long term success.” Rachel continues. Weight training changes the shape of the body, increasing bone density and muscle mass, also improving mental clarity and reducing mid section weight gain. This type of exercise is often something women shy away from, thinking they may get muscular or bulky, and this is just not the case. We are leading increasingly busy lives. Driving to the gym and finding time to do a workout can be stressful in itself so with a few key pieces of equipment you can improve your fitness and enhance your body shape at home and save so much time. 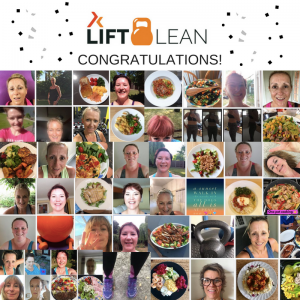 If you want to change the shape of your body, feel empowered and positive and have access to the very latest nutrition information then Lift lean is the perfect package for you.